The Supreme Court today asked the Centre and states how were they monitoring the implementation and hygiene of the mid-day meal schemes in government schools across the country. New Delhi: The Supreme Court today asked the Centre and states how were they monitoring the implementation and hygiene of the mid-day meal schemes in government schools across the country. A bench of Chief Justice J S Khehar and Justice D Y Chandrachud sought the response of the Centre and the state governments while noting that two committees at the national and state level were suggested to be set up to monitor various aspects like maintaining hygiene in the mid-day meal schemes in schools. "How will the implementation of the scheme take place? Tell us and we will crystalise it (in the form of an order)," the bench said and posted the matter for hearing on August 24. The court was hearing a PIL, filed by NGO 'Antarashtriya Manav Adhikaar Nigraani' in 2013, on the issue of mid-day meals. It had issued directions to prevent incidents like the one that occurred in a government primary school in a Bihar village where 23 children died after eating contaminated food in 2013. 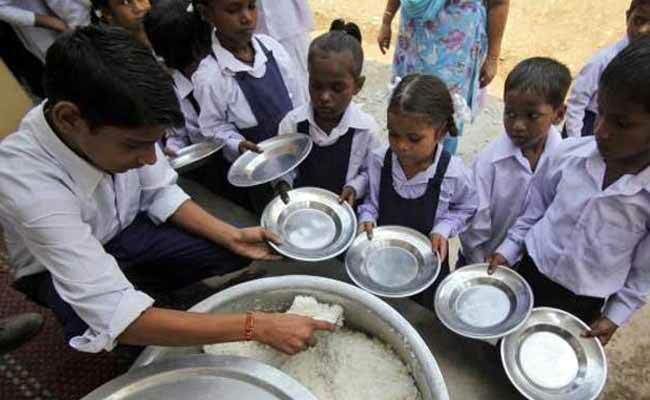 The apex court had on March 23 asked state governments and union territories to upload information including the total number of students getting benefit of the mid-day meal scheme within three months on their websites. The court had approved the "proforma" for providing the details and requirements of the mid-day meal scheme, noting that 25 states agreed to give information as per the format. The Cente had informed the court that 11 other states, which have not filed their reply, were also "not averse" to providing the requisite information as required under the proforma, which contains heads under which information is to be uploaded on the website of the state education department. Information like the total number of schools covered under the scheme, number of beneficiary students, quality and nutritional value of food grains and vegetables, eggs and other supplements served, have to be provided by state governments. The proforma also seeks states to provide information as to whether there is any monitoring mechanism to check the quality of food served to the children in government schools. Earlier, the apex court had issued notice to the Centre and 12 states seeking their response on the steps taken to ensure cleanliness in the midday meal scheme and prevent incidents like the one that occurred in the Bihar village primary school. The states were Bihar, Odisha, West Bengal, Assam, Uttarakhand, Uttar Pradesh, Chhattisgarh, Madhya Pradesh, Tamil Nadu, Kerala, Karnataka and Jharkhand. In over 12 lakh government-run and aided schools across the country, children receive free, cooked lunch every day but "they are constantly exposed to the risk of food poisoning and related health hazards due to a lack of mid-day meal infrastructure and proper monitoring of the scheme," the PIL said.